Monday morning was my last full day in clinic and we had neuro patients waiting for us at the get go. Doug and I decided to work together for the day and it was a typical Monday morning meaning that FAME was packed with patients. We were also planning to a skin biopsy on a young child in the ward with horrible eczema who had come in months ago with terrible contractures of all of her limbs and after antibiotics to treat secondary infections and two cleansing bathes per day along with moisturizers and vasoline applications was able to see some progress. 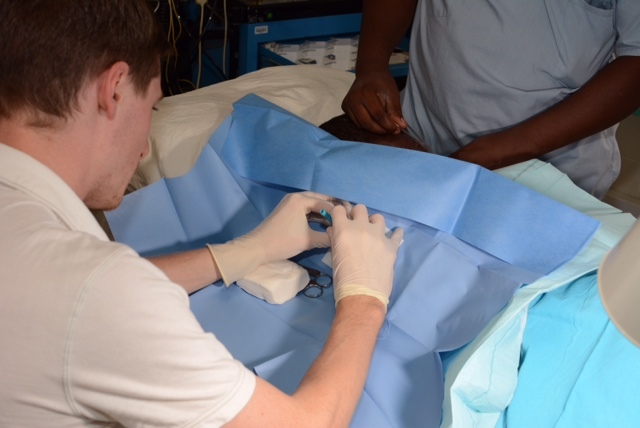 Doug was going to do the biopsy as he had seen them done in residency and had done one himself previously. We saw a smattering of new patients as well as several return patients (all doing well on their new seizure medicines or new dosing of medications) during the morning, but of course took our chai break as it was my second to the last day to experience this simply scrumptious chai masala they make here. 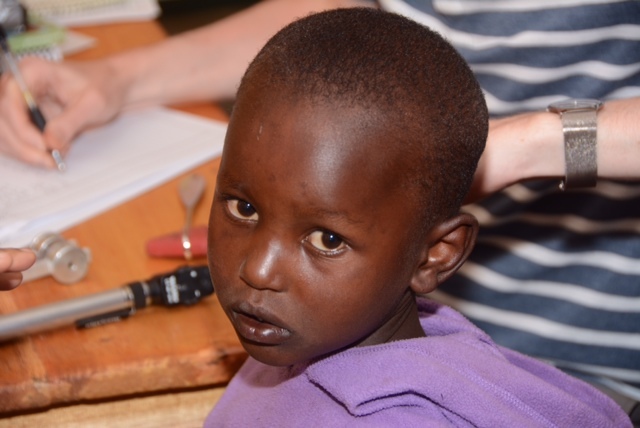 In the afternoon we brought the young girl back to prepare her for her biopsy. Suhawa (our nurse anesthetist) gave her some several very potent drugs and she just starred at us and remained wide awake. He next gave her some propofol to put her down and she remained awake and responsive for some time and then seemed to be in a trance with her eyes wide open and blinking, but not responding to our voice. Doug initially didn’t feel all too comfortable performing a procedure on her with her eyes wide open so I suggested he pinch her hard enough to be certain she didn’t feel anything and sure enough, she didn’t. He proceeded to do two punch biopsies on her arm and stitch up the sites. I will bring the specimens back with me to give to a dermatologist at Penn who does tropical medicine and infectious disease as well and send the other to Atlanta to a dermatopathologist. After the procedure we were pretty much finished with clinic and I had messaged Daniel Tewa earlier in the day about stopping by for an hour or so. 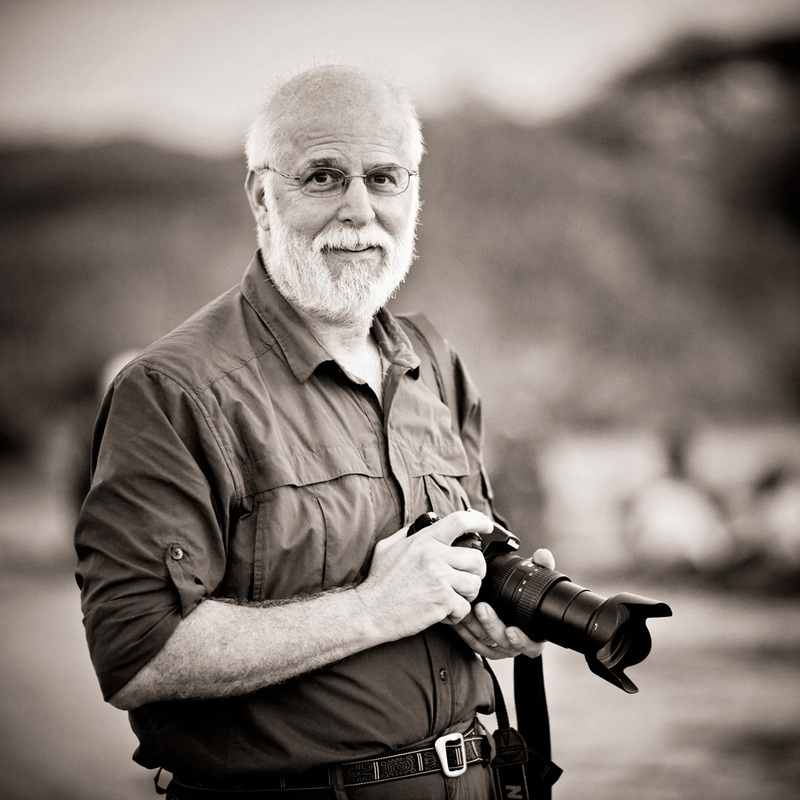 Daniel Tewa has been a close friend since my first visit to Tanzania on safari. 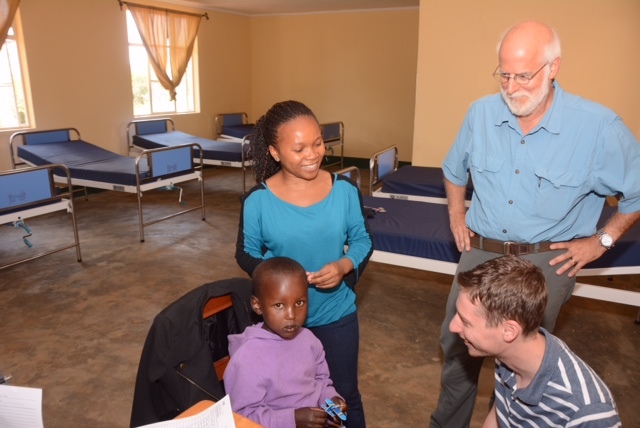 I was with both my children, Daniel and Anna, and had decided that doing several days of volunteering would not only be a worthwhile endeavor, but would hopefully leave a lasting impact on my children (which it has). We were schedule to help with some work at a local school that turned out to be in Daniel Tewa’s village and he helped us with the work of painting. We later visited Daniel at his home where he has built an underground Iraqw house and gives cultural demonstrations for visiting safari groups. A year later when I returned for my first visit to work at FAME I contacted Daniel to see if he would remember me and he surprised me when he also remembered my Daniel and Anna. 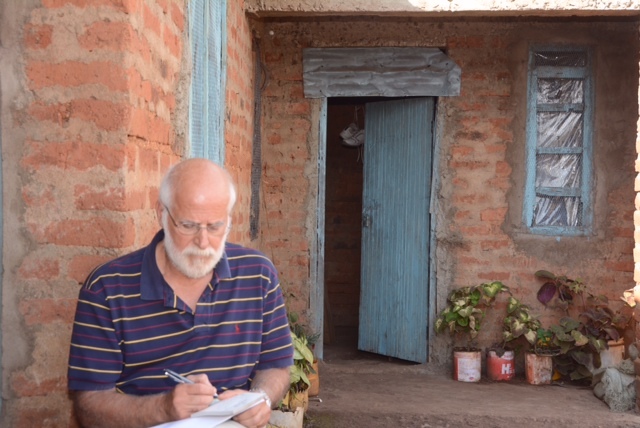 He is a wealth of information about local culture, Tanzanian history, American history, politics and is one of the most generous individuals I know. He treats me and whoever else I bring as honored guests every time we visit and always insists on having a family dinner when I’m there. Because of scheduling we were unable to spend a dinner with him this trip, but I know that Doug and Kelly will be back in my absence as Daniel made it very clear that they were welcome again. I awakened on my last day for this visit early for another of our early morning walks. We did a little less than three miles in 40 minutes averaging 4 mph. Doug was giving a lecture on the pediatric neurology exam to the doctors this morning and I would only be able to attend half of it as I had an 8:30 am meeting scheduled with Susan (co-founder and director), Caroline (development coordinator) and William (outreach coordinator and human resources) to discuss the future of the neurology program at FAME. It was a very productive meeting and from it we will develop a timeline of growth and expansion of the neurology program. I arrived at clinic a bit late, but rounds had been long so I didn’t miss anything. 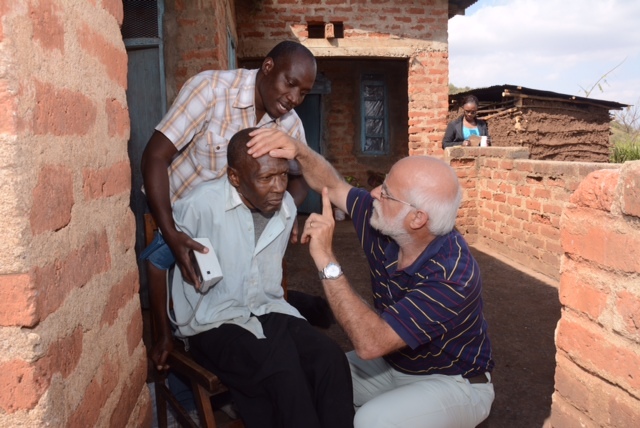 Stole (pronounced “Schtole”) who is the Norwegian gentleman with the orphanage in Mto wa Mbu arrived with the two brothers with muscular dystrophy who I had seen in March with Megan as well as several other children needing neurologic assessment. 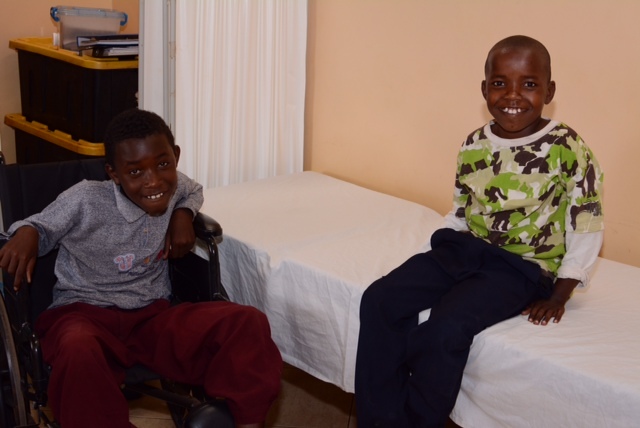 The two brothers are interesting as the older brother who no longer ambulatory has significant contractures making one think of Emery-Dreifuss muscular dystrophy, but the distribution isn’t right and his contractures are more likely from muscle weakness and lack of physical therapy. The younger brother has clear pseudohypertrophy of the calves and had a classic Gower sign getting up to come in our office. The two brothers most likely have Duchenne’s muscular dystrophy which is quite unfortunate. 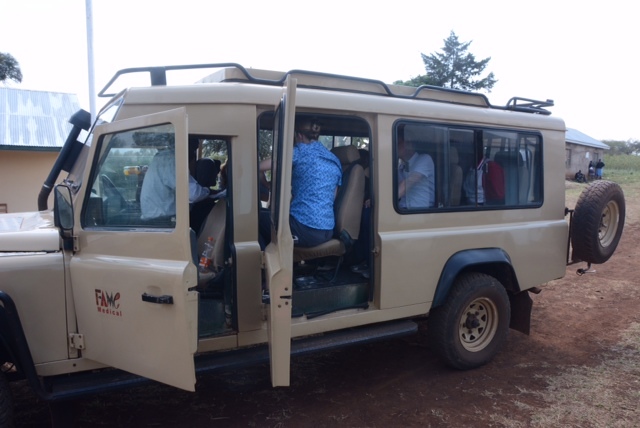 My ride arrived to take me to Kilimanjaro International Airport around 2:30 pm and I ran around the campus to say goodbye to everyone knowing I’d be back in six months so it is no long quite as difficult. It is a big family and it is so clear the pride everyone has in FAME and what FAME means to each and every employee and their family. There is still much work to be done, but we have come so far. I have been particularly blessed to be a part of such a worthwhile project as FAME that has had such an impact on so very many lives in this incredibly wonderful region that is so underserved. I thank everyone who has helped make this possible for me and for FAME. Since FAME encourages the volunteers to take one day off a week we usually grab this opportunity to go on safari to one of the local parks. 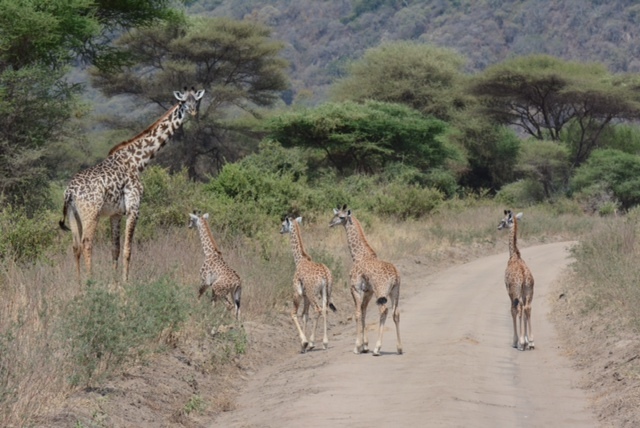 Last Sunday was Tarangire and we had the option of going to Lake Manyara or Ngorongoro Crater today, but the Crater is quite expensive as there is a $200 vehicle fee that isn’t present at the other parks. 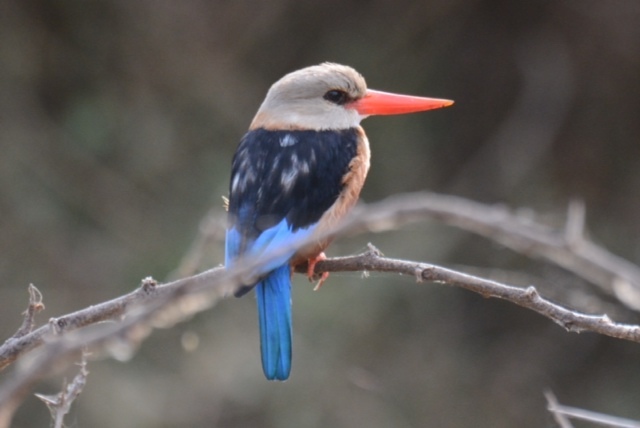 Lake Manyara is a wonderful park that is often overlooked as it is somewhat smaller than the other parks, but it has several magnificent ecosystems that include the lake and marshes, a wonderful wet forest as you enter the park and some nice woodland areas. It also has most of the animals you see at the other parks save for cheetahs and leopards are very rare or non-existent. It is also known for over 400 species of birds and “tree climbing” lions. All lion actually climb trees to get out of the heat of the day, but in Manyara they have developed a particular propensity for this behavior. Our vehicle picked us up at 6am as it’s always best to get to the park early to see the best animals. Manyara is only 45 minutes away so we were through the gate quite early and started our adventure. We stopped at the hippo pool and viewing station, but the hippos were already in the water (they forage and feed at night) as it is far to hot for them in the direct sunlight and they easily sunburn. Shortly after the hippo pool we had a great view of a Kingfisher, though I just couldn’t get him to move a little for me to remove the branch from the photo. Heading down to Maji Moto (literally hot water or the hot springs) we ran across a very unique sight of a giraffe with quadruplets! It is not uncommon for them to have one or two babies or perhaps even three. But four is something very unusual. Our guide had heard talk of a lion pride just past Maji Moto and as we turned off the main road onto one of the smaller game circuits we spotted them under a tree. 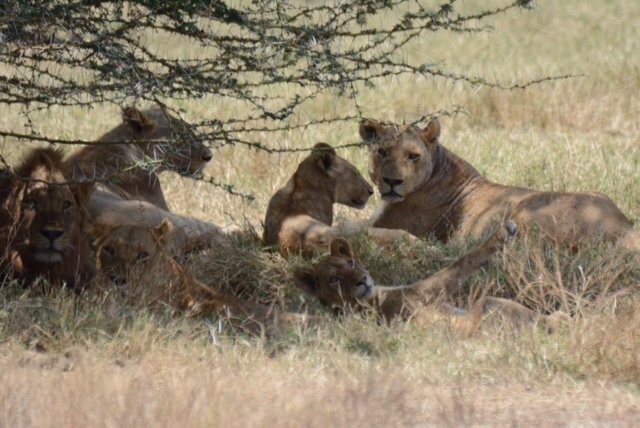 It was a very large pride with an adult male, a juvenile male at least five or six females and a number of cubs. 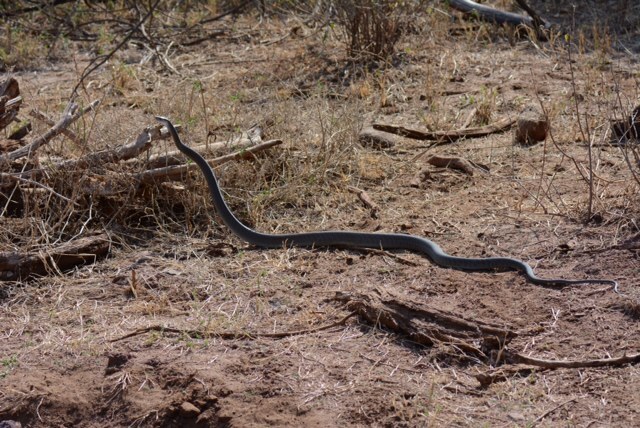 We watched them for some time from distance and even had lunch in some nearby shade (in our vehicle of course) before proceeding to observe them from a bit closer vantage point. As we drove close, one of the females took offense and got into a squat position ready to lunge at us, but thankfully she settled back down quickly and decided not to take us on. Considering the top of the vehicle was wide open without cover it could have been an easy meal for her. She wasn’t very happy with our invasion of her privacy! 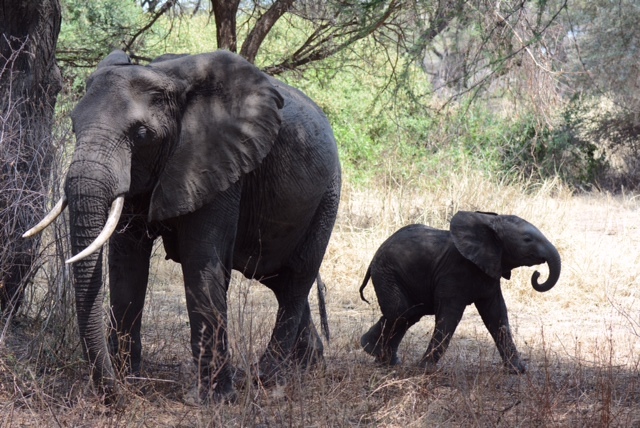 Perhaps the most enjoyable event of the day was watching a very young elephant frolic with his mother and family just like you would imagine a two or three year old child doing. 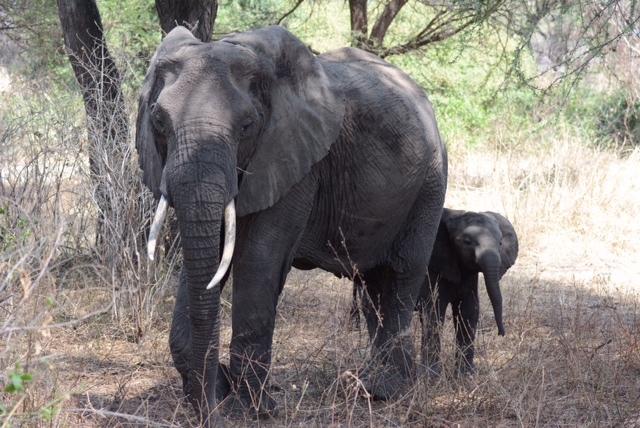 The elephant clearly knew we were there as it keep a close eye on us and often darted behind it’s mom for safety. It would soon forget our presence though and go back to its same playfulness and continue to amuse us. 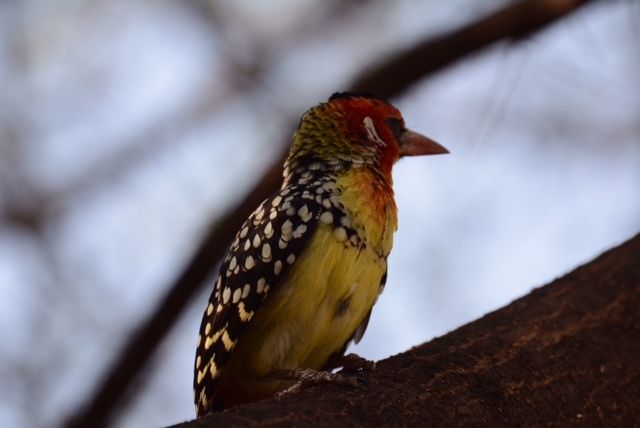 As were leaving the park (and using the facilities at the picnic area) I managed to get a nice closeup of a barbit that is a very colorful bird and loves to scavenge morsels from the picnickers but was very disappointed as we had nothing to share as we had already eaten with the lions. 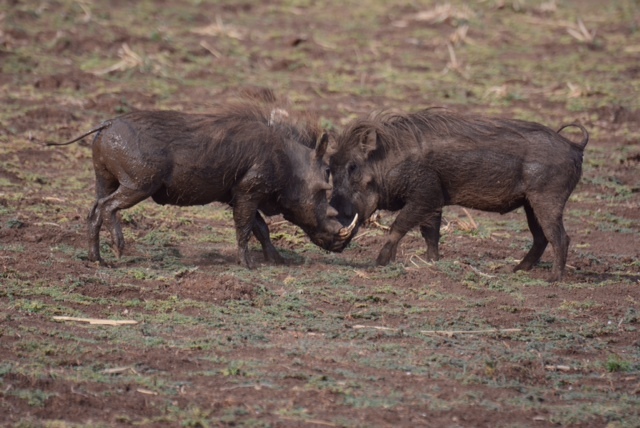 Warthogs are usually not a subject I’m likely to photograph, but this was just all too appealing. I think it was a contest as to who was the ugliest! And finally, another bird for Megan. 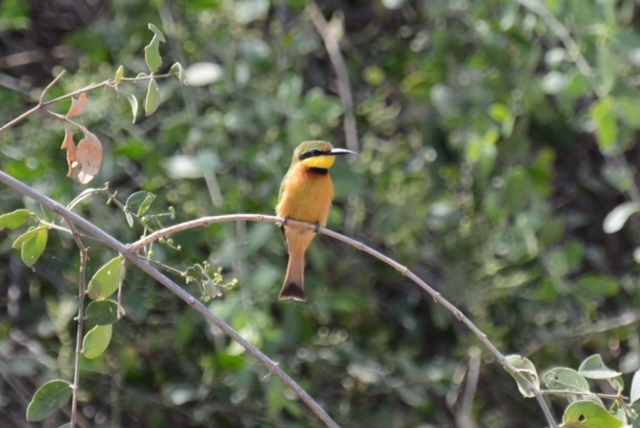 Here’s a wonderful bee eater. We left the park and headed back up the Great Rift to home with plans for another wonderful meal at Gibb’s Farm. Doug, Kelly, Joyce (I call her the “lab queen” as she created the lab at FAME and now spends nine months out of the year there after she retired from 20 plus years in academia) and I all took a quick shower (thankfully the kuni boilers still had some hot water) to a bit more presentable. The evening was amazing as it usually is sitting on the veranda at Gibb’s, a setting that I’ve mentioned before, but never fails to be breathtaking. Our four course dinner was equally astonishing and I texted Kim a photo of the menu just to make her drool. After all that when we went to pay the bill they told us our drinks before dinner were complimentary from the manager at Gibb’s. Wow! I drove the back roads home and we all slept exceptionally well! 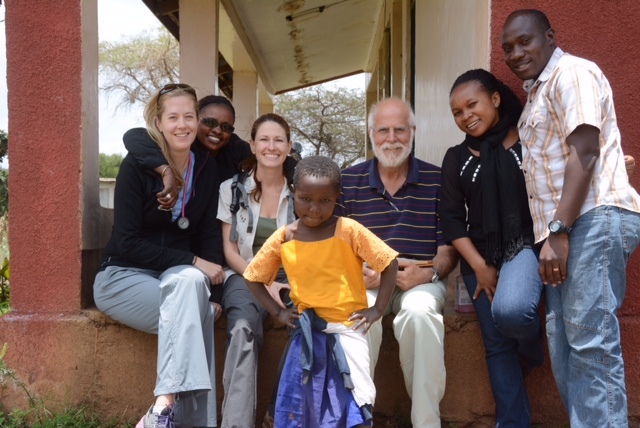 Danielle and I were heading to Arusha today as I had planned to take her to the airport tonight for her trip home and we had wanted to see Leonard’s kids and Pendo again before we left. Danielle was scheduled to give another lecture this morning on medications for epilepsy which was from 8-9 am and Dr. Frank had asked her (or perhaps guilted her) to see a women with severe headaches and a significant pyschosocial history requiring some finesse that Danielle could certainly provide. She was taking care of that issue when Jacob asked if I could possibly see a patient that had come the day prior when I was on mobile and had come back to see me. This is an excellent example of the local health care and why it is so necessary to do what we’re doing here. The patient was a 40ish year-old gentleman who three weeks prior had been found down with no apparent witnesses and was unconscious with blood coming from his nose and ears. Anyone worth their weight would immediately tell you that you need to rule out a basilar skull fracture with that history all. 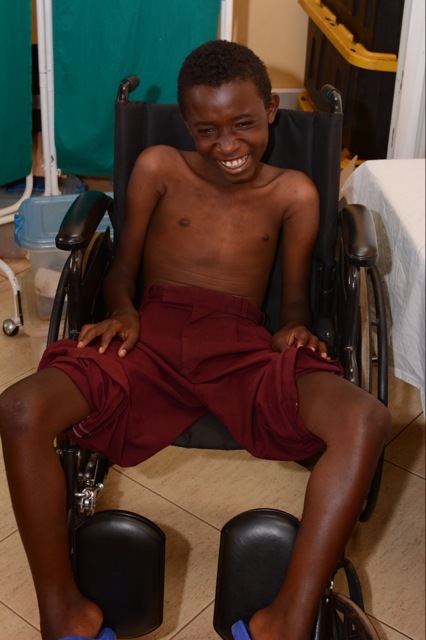 Here, though, he was admitted to the outside local hospital where he woke up after 16 hours with a severe headache for which they gave him paracetamol (tylenol) for pain and discharged him after 3 days. He still wasn’t right after two days and his family brought him back to the local hospital where he was admitted for three days again and discharged. 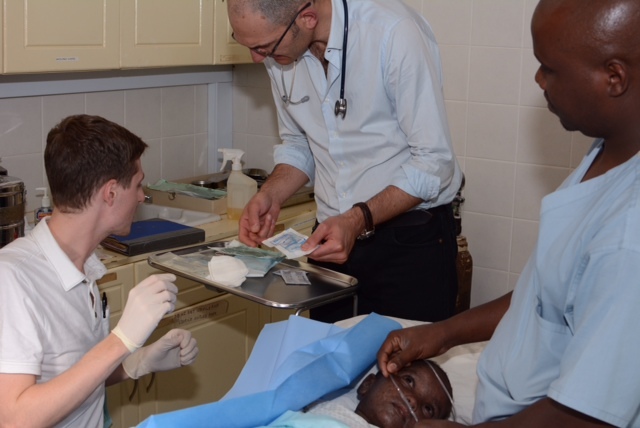 They finally brought him to us and I sent him for a CT scan in Arusha (not everyone can afford that) and contacted Sean Grady at Penn who is chairman of neurosugery and a good friend. Sean got back to me within hours with a recommendation and hopefully I’ll see the patient back before I leave or Doug will take care of it after I’m gone. Chances are he won’t need anything done, but it was very risky not to have imaged him earlier on. The fact that he hasn’t deteriorated in the three weeks is a good sign and he may be lucky. 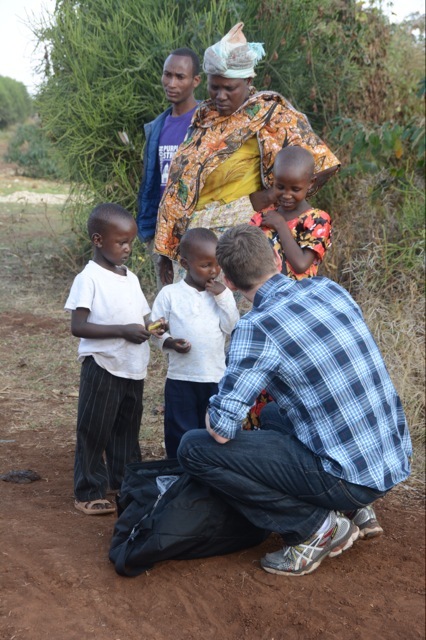 We did a few quick errands and then went to visit Pendo and the boys. Lennox and Lee are now five and eight and I have known them for four years. 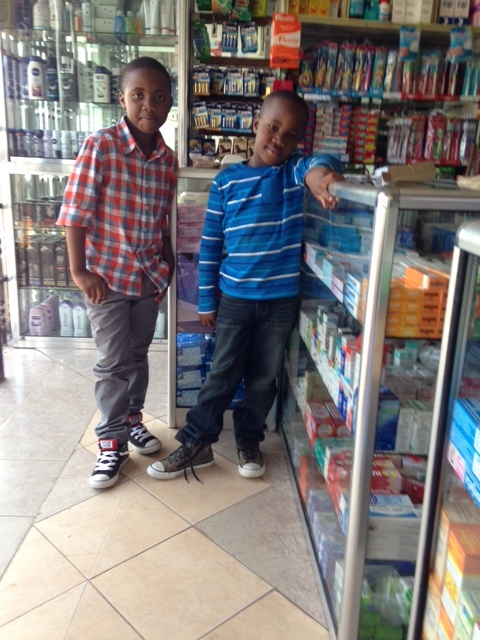 They have transformed into fine young gentlemen and it is so great to see them every visit. Visiting a Tanzanian home isn’t an easy task here as it almost always entails a meal otherwise it would be interpreted as rude by the host. 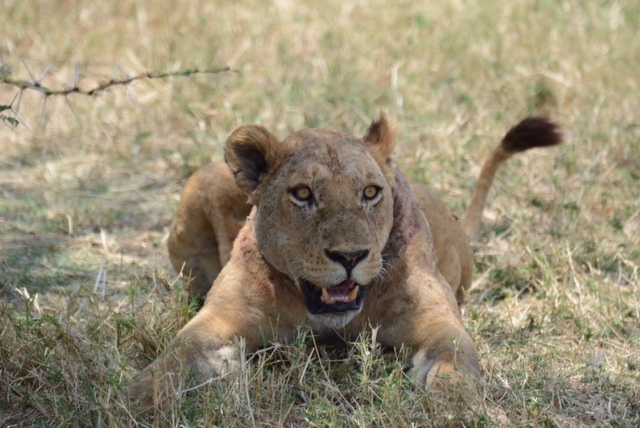 Pendo hadn’t expected us as she thought we coming the following day (a miscommunication thanks to Leonard who was away guiding a safari). Pendo said she’d put something “quick” together for us before we left for the airport and what was to be a simple meal turned into a delicious lunch of salad, grilled chicken and grilled vegetables that took them nearly two hours to prepare. That left us more time to visit with the kids but unfortunately less time to eat and even less time to get to the airport. We made it there in time, but Danielle was last in line to check in for her flight to Amsterdam. Since I was staying in Arusha that night (it is not very safe to drive at night here because of animals and crazy drivers) and leaving the next more back to FAME I anticipated the same issue with breakfast so I texted the clinic and told not to expect me until noon for patients. I had a very nice breakfast of eggs, toast and jam, and fresh cut fruit and then had to say my goodbyes. I would not be seeing Pendo and the boys again until March and these partings get more difficult every year. Pendo is also pregnant, due in early February so there will be a new one the next time I am here. 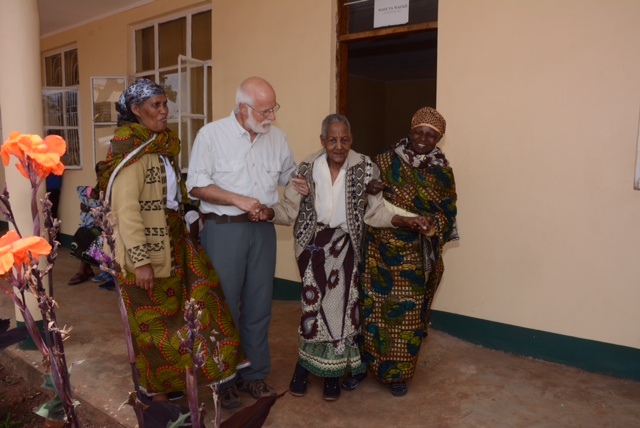 I arrived back in Karatu and to FAME a little after noon and had patients waiting for me so it was right to work. The first gentleman spoke very good English so I didn’t need an interpreter and he gave an amazing history. He had been through University and subsequent certification, but told me he had a difficult time concentrating since he was in high school and that he had always had tremendous energy, but would go through periods of depression as well. 20 years ago a doctor had put him on amitriptyline at low doses as he couldn’t sleep and he has been taking it ever since. He had never been diagnosed by anyone here and clearly had bipolar disorder and unfortunately his marriage had failed due to not being treated for this. 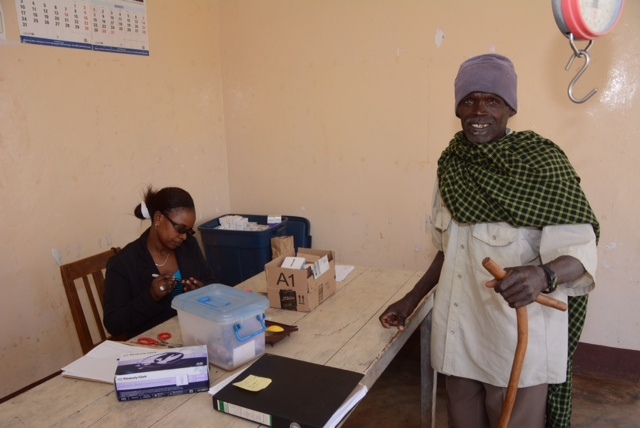 He was very hypomanic in the office and told him I could treat him with either of two medications, one of which I had brought, lamotrigine (though it is also available here in Tanzania). 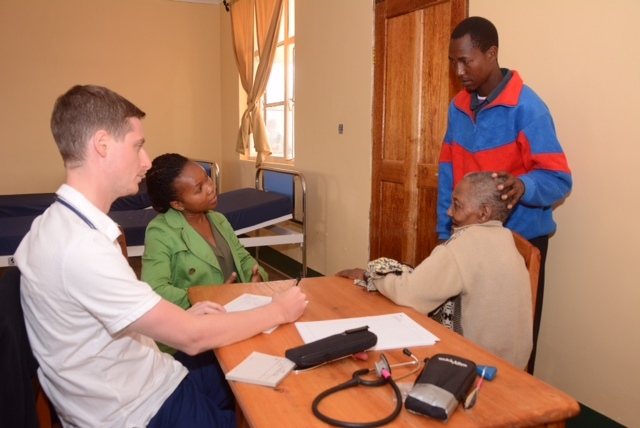 He was worried about the cost of the medication which would be about 25 to 50 cents a day (quite a bit for a Tanzanian budget for a month and on a long term basis), but I was able to give him two months of it now to see if it would work and we would go from there. I am very hopeful that this will change his life for the better. Also of note, when I asked about siblings and parents it is likely that his father and several siblings also have similar problems. I saw an elderly women with myelopathy (spinal cord disease) probably from vitamin B12 deficiency who we will medicate and hopefully make better. I saw several other patients with more typical problems and my final patient of the day was a women coming to see me with headache, sore and swollen throat and neuropathy symptoms of a little over one year duration. Thankfully, Dr. Gabriel was with me as the women had a swollen tongue with a friable lesion on it and huge, firm lymph nodes on both sides of her neck. She most likely has a malignancy and will be getting a fine needle aspirate of one of her nodes on Tuesday (the lab is not set up here yet to do tissue biopsies though hopefully soon). I worked only the afternoon, but it was another wonderfully successful day of patients and teaching (Gabriel was fascinated with the exam of the women with the myelopathy) and I only have a few more left. It’s always a bit easier for me to leave as I know I’ll be back in six months and again after that. 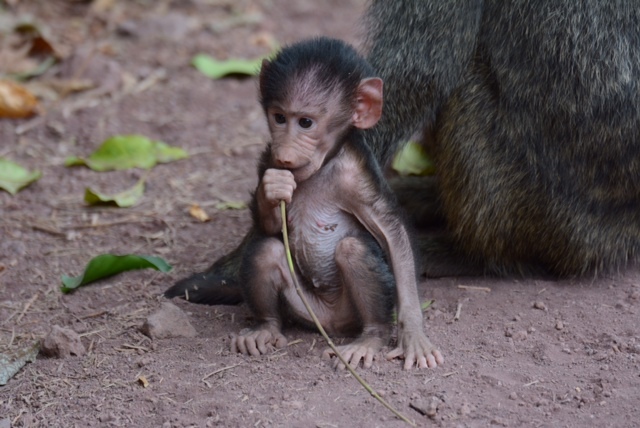 We’re going on safari to Lake Manyara tomorrow, Sunday, and everyone always looks forward to that. Awakened to a somewhat cool morning for our walk. No matter, it is still breathtaking here even with the breeze and the views of the Ngorongoro Highlands are as lovely as ever. We usually try to do a 2.5 to 3.5 mile brisk walk in the morning which takes us about 45 minutes to an hour. We start at 6:30 am which is sunrise here. I should also mention that in Swahili time that would be 12:30 as they use 6 am as 12 and 7 am as 1. Most of the signs here are in both Western and Swahili time. That’s because on the equator the sun usually rises and sets around the same time all year and life is much simpler. 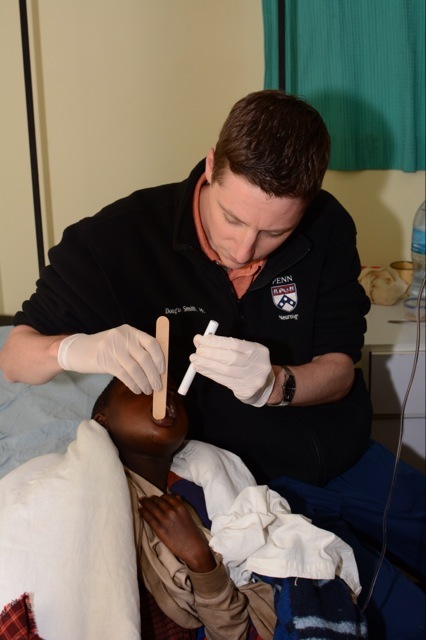 We learned yesterday that a young Maasai boy with cutaneous anthrax was admitted and on rounds Doug spent some time examining him. Cutaneous anthrax, though uncommon, is not rare here and it’s the third case I’ve seen since working at FAME. 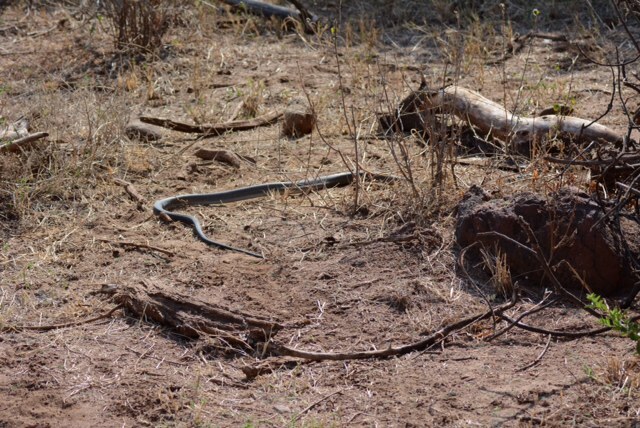 It is contracted by eating an animal that has been dead for some time and laying on the ground where the anthrax spores become an issue. 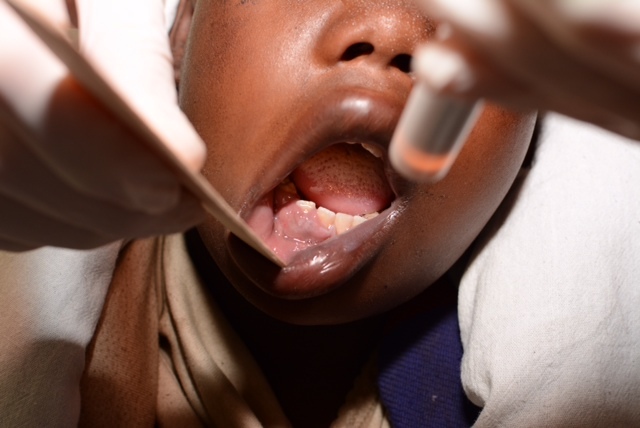 This boy has it inside his mouth and his lower jaw and neck are quite swollen. 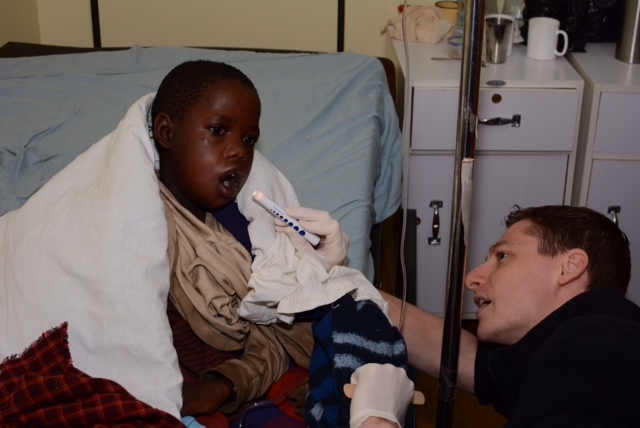 It is very treatable with antibiotics but has to be done early and his airway will be closely monitored. We needed to leave earlier today to reach Upper Kitete which is a good 1-1/2 hours away and we didn’t want to arrive after lunch. The drive is very bumpy and there are always great sights such as Land Cruisers packed to overflow and then some or today where a bus couldn’t make it up the hill fully loaded so that most of the passengers had to get out and walk it first before the bus could follow. 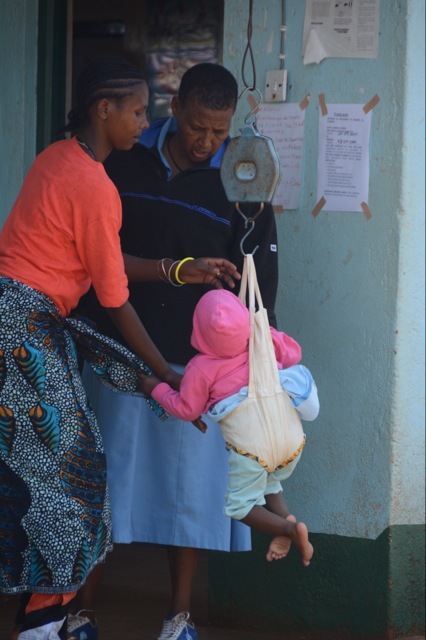 On arrival to Upper Kitete they are having their well-baby checkups for the government dispensary so we are surrounded by dozens of the cutest kids you can imagine all there to be weighed on the hanging scale. 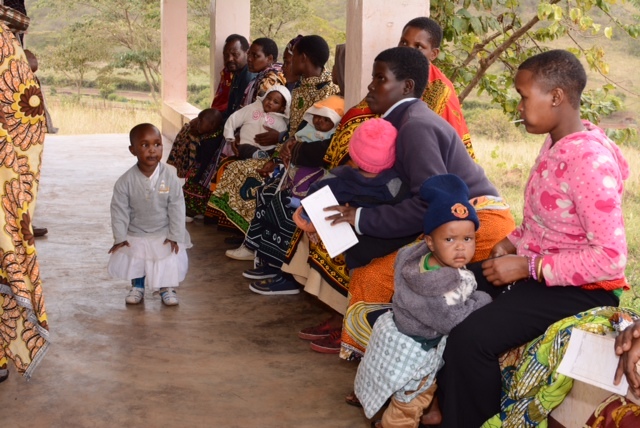 We had to wait until most of the clinic was finished before we could start, but it was a great picture of the local community to see all the children and moms. Our very first patient was a woman who was accompanied by her husband and the complaint was that she was having episodes of unresponsiveness. It’s always quite difficult to sort out patients with non-epileptic events (what we used to call pseudo-seizures) as it often relies tremendously on having the patient come into the hospital for a prolonged video EEG during which we hopefully record an event that doesn’t have epileptic activity on the EEG. We don’t have EEG here yet, though that is one of our next projects and something Danielle is working on. The next best thing, though, is for them to have one of their typical events right in front of us and that’s just what this patient did. Several minutes into her visit while obtaining the history from she and her husband, she looked slightly agitated, stood up and promptly dropped to the ground (with the assistance of Doug and Isaac, of course). We put her on the bed and her eyes were fluttering and she had no convulsive movements and minutes later awakened. The tough part then is to begin a thorough history looking for clues as to why she’s subconsciously doing this – usually stress with a spouse, sexual abuse, etc., etc. Not the easiest history to obtain. Despite Doug and Danielle’s best efforts, though, we weren’t able to come up with anything. They were educated that these aren’t seizures and may be related to stress and hopefully some insight for them may help. Danielle had her compliment of seizure patients today with a mother with very typical JME (juvenile myoclonic epilepsy) who had been having seizures her whole life and a her little girl with seizures very likely also JME but too early to diagnose. It is a autosomal dominant gene so typically runs in families like this. Danielle placed her on levetiracitam (available only because we bring large quantities of it with us) as she’s still planning on having more children. This will hopefully change her life and also give her daughter a good chance of seizure control (her daughter was on phenobarb and doing well). I saw three women with very typical migraine and two of them with medication overuse headaches causing them to have daily headaches. The selection of medications to control their headaches was different in each based on factors such as still wishing to have children, frequency of migraine, etc. which is exactly how we do it at home. We have some medications that we brought with us (such as sumitriptan or Imitrex), but mostly it is medications available here that we can use which is always the best. We didn’t get home until after 6 pm (sunset) and Frank and Susan had a wonderful get together for everyone last night at their place as Danielle is leaving tomorrow (Friday). It’s so rewarding to see all the volunteers together along with the others who really make this place run. 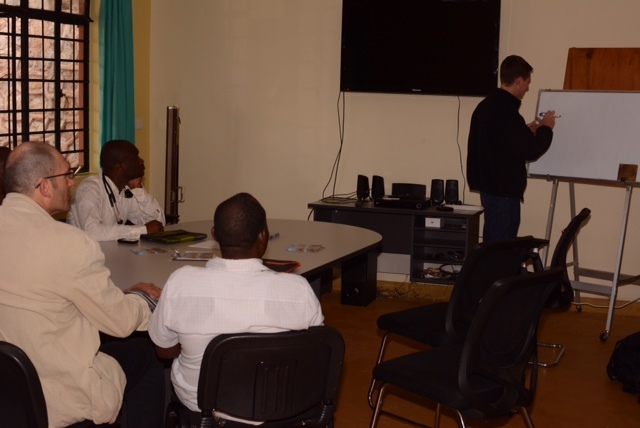 Ultimately, though, it will be the Tanzanians themselves who will provide the link to the future and that is the goal. Danielle and I did a long loop walking early this morning which was great. The weather was perfect and the views were amazing as usual. We will typically do 2.5 to 3.5 miles in 45-60 minutes and maintain a fairly quick pace. The sun comes up as we walk and all of life here begins to awaken with the new day. Rounds in the morning are always quite unpredictable. 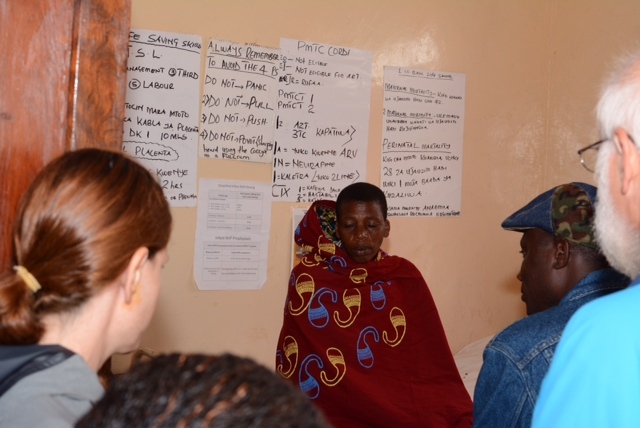 Last night a woman two weeks postpartum came in quite hypertensive, but it seems the staff didn’t want to disturb Kelly who is here to set up their women’s health program. 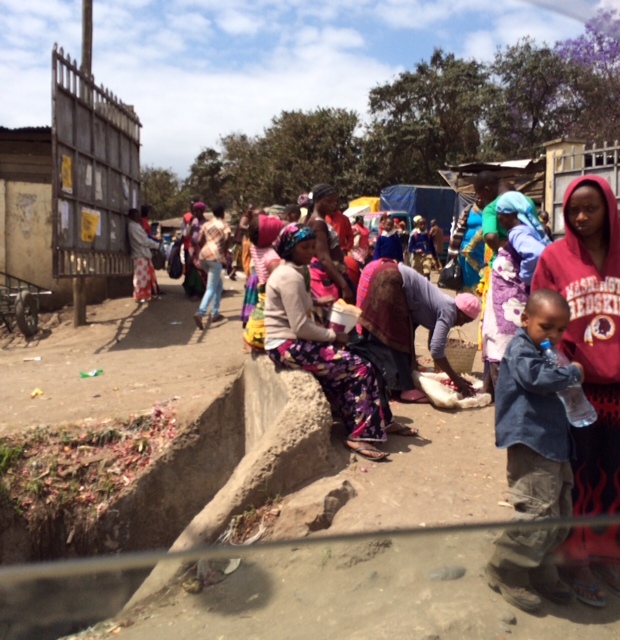 Despite our best efforts it is often difficult to change things here and the term “urgency” in Tanzania, let alone “emergency” is often lost in translation. 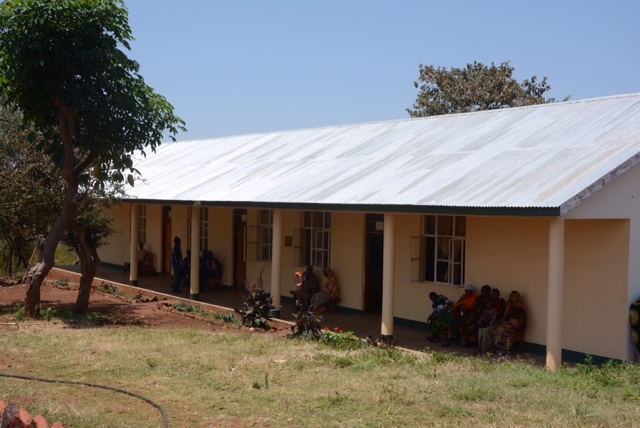 This is undoubtedly one of the very best medical facilities in all of Tanzania, though the pace of progress in the face of years of cultural and societal habits is often very, very slow. This is a work in progress. 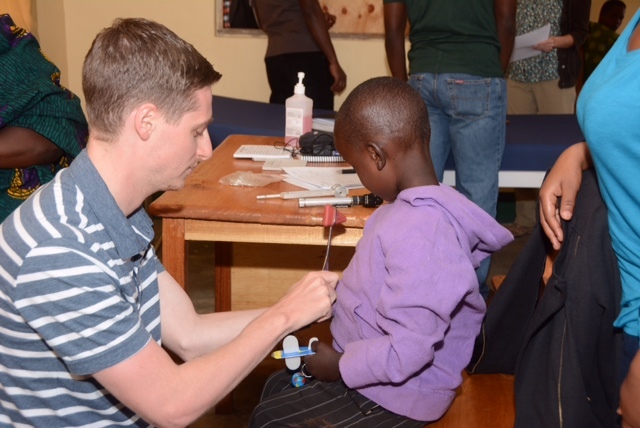 We also had a little 4 year-old in the ward with respiratory stridor for five (!) months with plans to bronch her today for what we thought would be a foreign body. In the end it turns out she has large papillomas nearly completely obstructing her vocal cords likely secondary to HPV from birth. She had to remain intubated and was sent to Arusha Lutheran Medical Center where there is a visiting pediatric surgeon and ENT. Hopefully something can be done for her, but it’s very possible she’ll need to be trached either way. 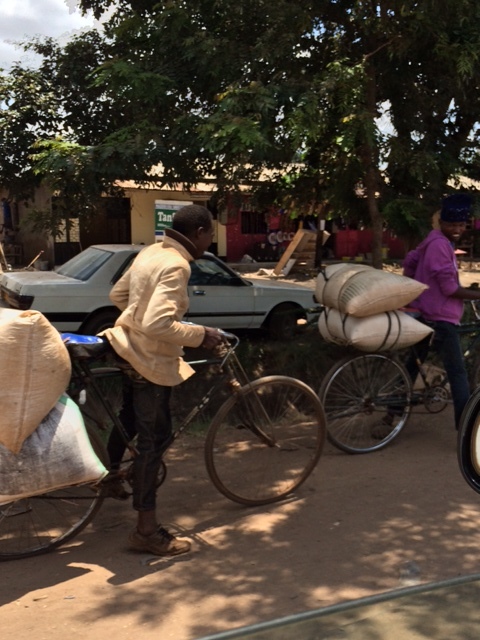 After sorting out Kelly’s issues with her patient in the ward we were finally able to get on our way to Upper Kitete. This village is a bit further on the Rift than Kambi ya Simba and is about 1-1/2 hours away. 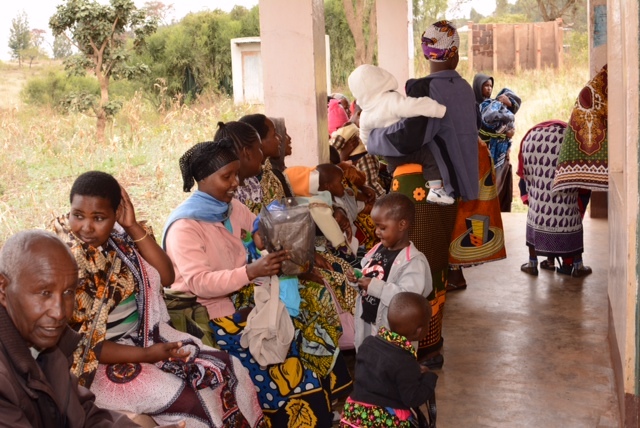 We’ve had very big clinics there in the past, but by the time we arrived today (close to noon) a few patients have returned home, but for the most part it’s very light. 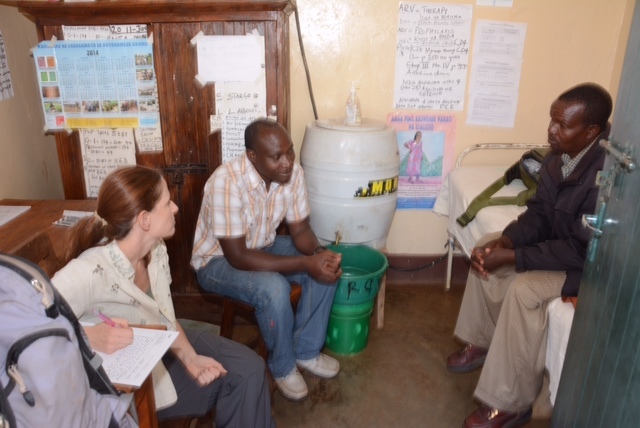 In the future we will spend only one day in each village (rather than the two as we’re doing now) and the DMO (District Medical Officer) here in Karatu has taken notice of our clinics and has asked if it would be possible for us to select a few other villages in which to provide neurology care. William (our amazing outreach coordinator) and I will discuss this further and likely have new sites for our March visit. The cases today are basic musculoskeletal with a few neuropathies and headaches thrown in which is often the case. Our last case of the day is a gentleman whoI have seen at least twice before with fairly advanced Parkinson disease and probably some superimposed dementia. I started him on carbidopa/levadopa in March 2013, that worked quite well so that he was actually ambulatory, but he has now been off his medicines for the last month and is very, very rigid. So rigid, if fact, that he can’t ambulate and is essentially housebound, if not bed bound. We’ve decided to see him as our last patient of the day and we’ve brought a large bottle of carbidopa/levadopa with us thankfully that we have enough to give them for three months which is when a FAME team will stop by again to refill medications. He would be very difficult to transport to FAME so if it were not for our mobile clinic who wouldn’t be seeing anyone. I’ve explained to his family that we will do our best, but that there will likely be a time when his medications won’t work as well as they have in the past. His wife is very good and thanks us for our visit and trying to help him. 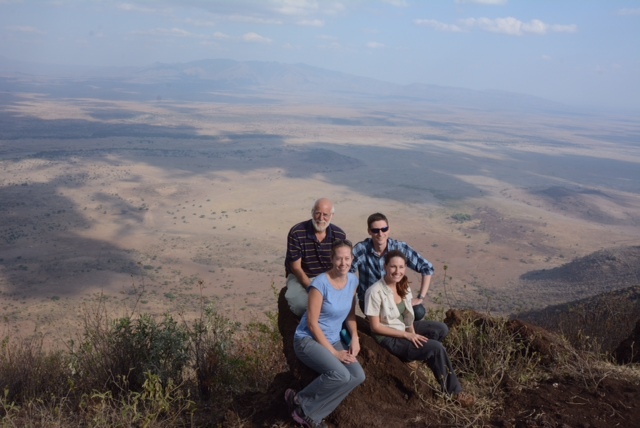 After our clinic we’ve decided to visit the overlook which is a spot on the Great Rift that looks down 2000+ feet into the Great Rift Valley for miles and miles. You can see Mto wa Mbu and Lake Manyara in one direction and the valley floor leading to Lake Natron and Oldoinyo Lengai in the other. It is truly one of the most amazing sights I’ve ever seen and is even more spectacular considering we are standing atop the birthplace of humanity. All Homo sapiens can trace their lineage back to a spot very close. For now though, we are here and marvel at the landscape unfolding before us. Driving home we met the little boy with Bell’s palsy waiting for us on the road as we had requested. 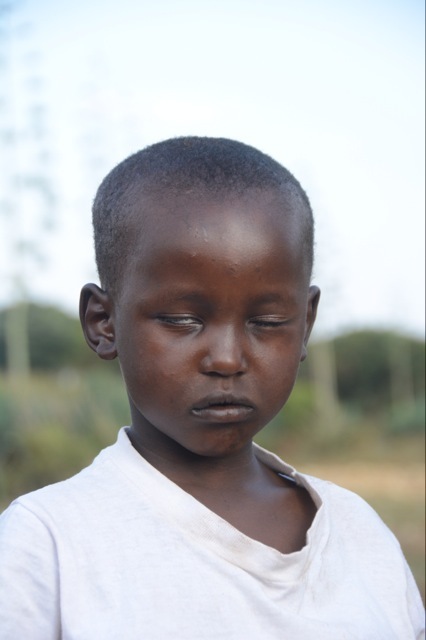 We dropped off eye patches and eye drops to them in the morning and realized we didn’t have any photos of the boy trying to close his eyes. Of course, this was another opportunity for Doug to get his fix of kids and hand out more toys. We arrive home just before sunset and will prepare for another day at Upper Kitete tomorrow. We hope to have more patients. 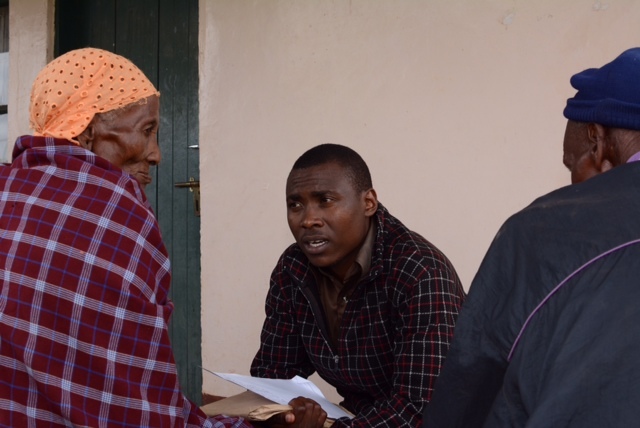 Asante sana (Thank you very much) for everyone’s support. The morning began with rounds at 8:30 am, though I had to excuse myself for the first part so I could work on rounding up meds and supplies for the second day of mobile clinic (those things we realized we didn’t bring with us on day one such as antihypertensives for a patient complaining of headache who had never had their pressure taken before and was very, very high). 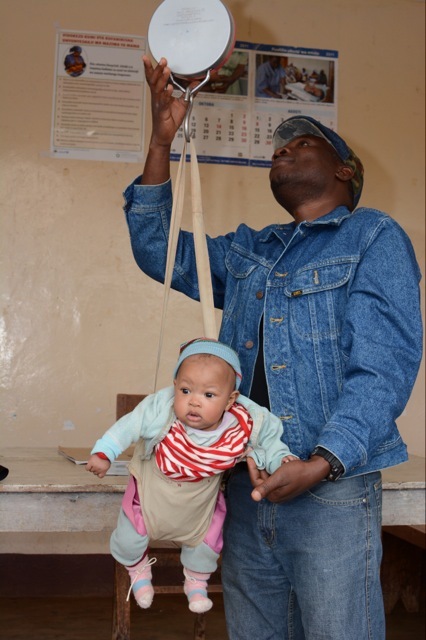 When I returned to the end of rounds (mainly to drag Danielle and Doug away) it turned out one of our patients was found to have active pulmonary tuberculosis with a young baby and needed to be transferred requiring some active discussion. So much for leaving on time. 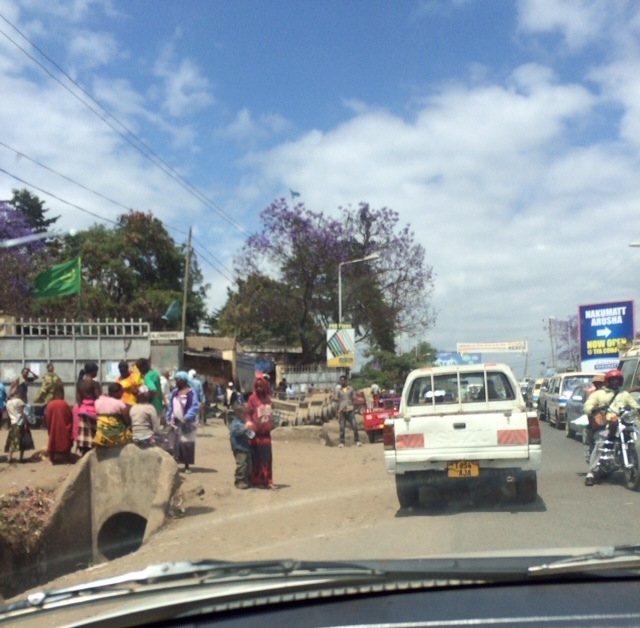 We finally got on the road which entails several stops to pick up lunch (samosas, quiche, an interesting rice cake, and variously flavored Fanta drinks) prior to really making our way to Kambi ya Simba for day two. We suspected the day would be a bit slower, but we had several good patients. One was a stroke patient with a significant hemiplegia who had been seen at a hospital a month or so ago and was told he had a pneumonia. 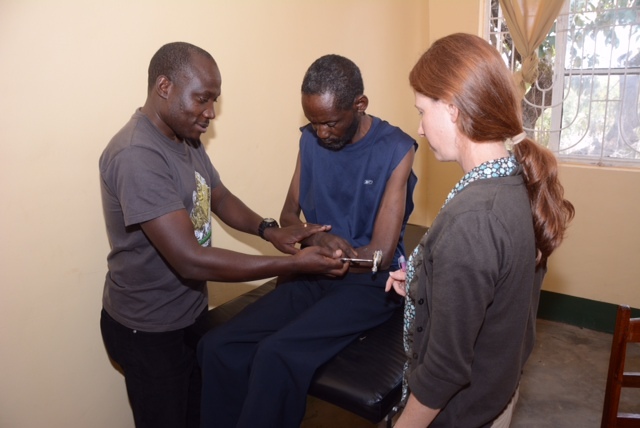 It was a great teaching case for Dr. Isaac as he had Danielle working with him so they went over the abnormal neurologic examination as well as all the aspects of out patient stroke treatment. 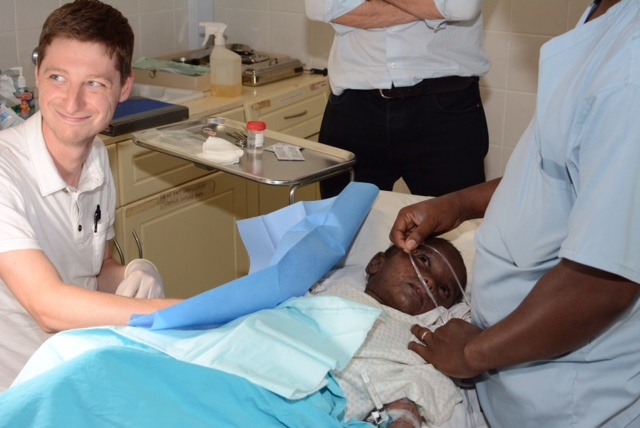 Our final patient thrilled Doug as it was a child with a facial palsy of two months duration. 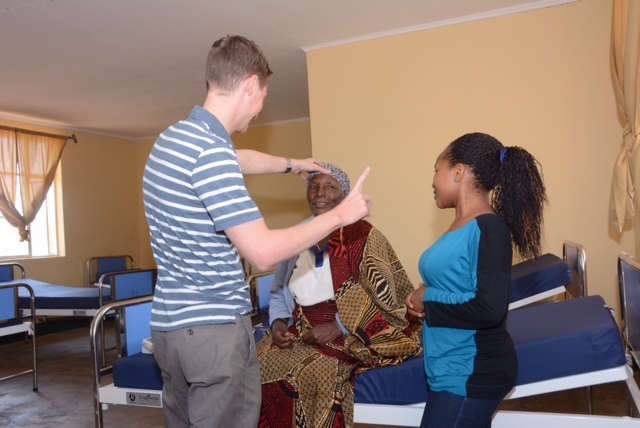 In the US we usually check for Lyme disease, but in Africa any patient presenting with a facial palsy (Bell’s palsy) must get screened for HIV. 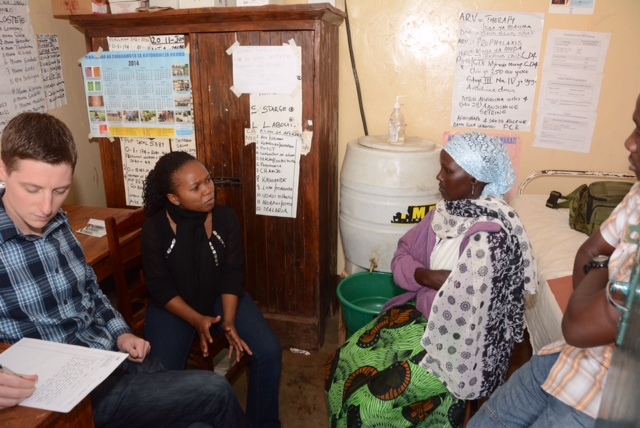 He had been to the hospital at the onset of his weakness and we were able to determine through his mother that he had his HIV status checked and it was negative. Thankfully as he was a very cute little boy. He had incomplete eye closure though with risk for injury at night due to corneal abrasion and they have been given no instructions for eye care whatsoever. So at least we were able to help in that regard. We’re meeting them tomorrow morning on our way to Upper Kitete as we didn’t have eye patches with us, but will fashion some prior to leaving tomorrow morning. On our way home we received a text that Doug’s pediatric skills were needed back at FAME so we arrived to find a three year old with respiratory distress of two months duration that didn’t respond to any asthma treatment and who X-ray was unimpressive except for some atelectasis. The child would desaturate every time she dozed and she was really using her accessory muscles to breath. Doug is convinced she must have aspirated a foreign object and she’s now scheduled to be bronched tomorrow morning. A quiet evening back at the house just talking with Danielle, Doug, Joyce and Kelly. Tuesday is Tanzania’s version of mac and cheese. Not bad, but leaves a little bit to be desired. 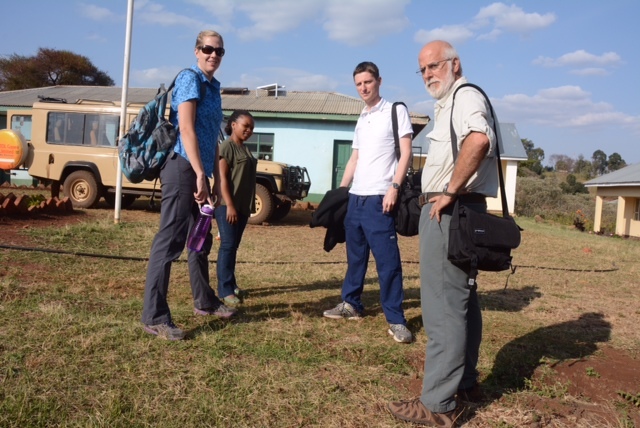 Today was our first mobile neurology clinic to the Mbulumbulu region of the Upper Rift. I’ve now been coming to this area for at least three years so patients are familiar with us and we are seeing many follow up patients from earlier visits. 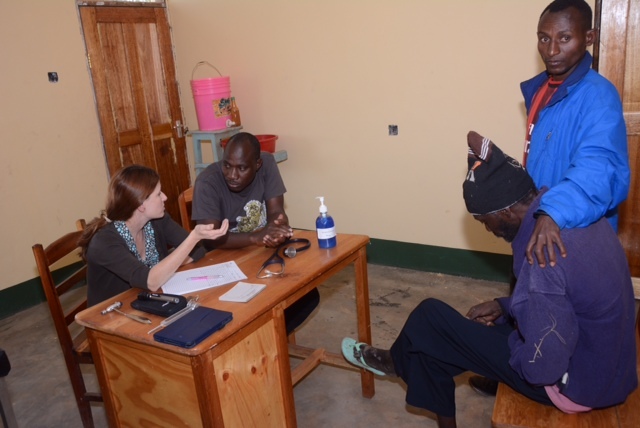 William (our outreach coordinator for these clinics as well as the neurology clinics at FAME and responsible for making everything work and having patients for us) spoke with me today about the possibility of expanding our mobile clinics to other villages on the other side of Karatu. Seems we’ve attracted some attention here. Our first two days are scheduled in Kambi ya Simba (lion camp) which is the closer of the two villages and about 45 minutes away. 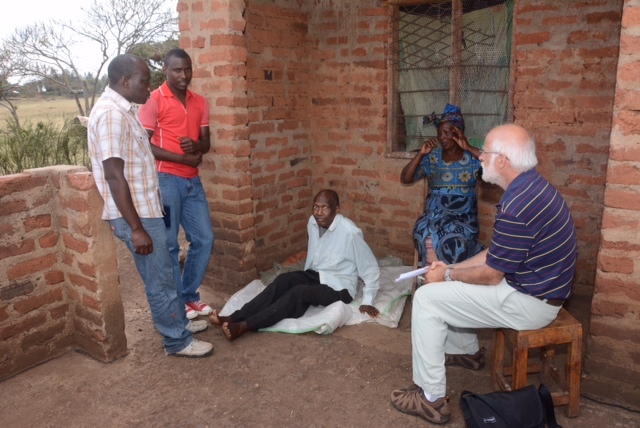 We split into two groups with Doug and I working together with Diana as our translator and Danielle working with Dr. Isaac to mainly see the epilepsy cases. We were swamped, but had a steady group of patients and were able to finish up by around 4:30 pm. The best case of the day was probably non-neurologic and was a six month little child who ended up having ambiguous genitalia. 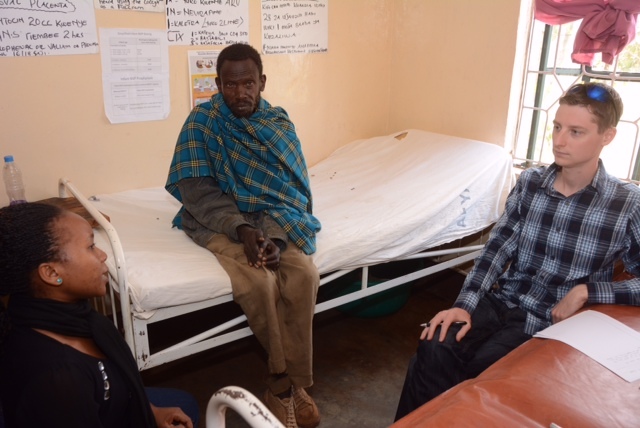 Doug was able to examine “her” and determine that she will need to be seen at KCMC (Kilimanjaro Christian Medical Center) and have a very thorough evaluation including genetics to determine her actual gender. Doug had never seen a case of ambiguous genitalia before let alone make the diagnosis so that was a huge thrill for him. Home after a long day, sunset on the veranda and dinner. 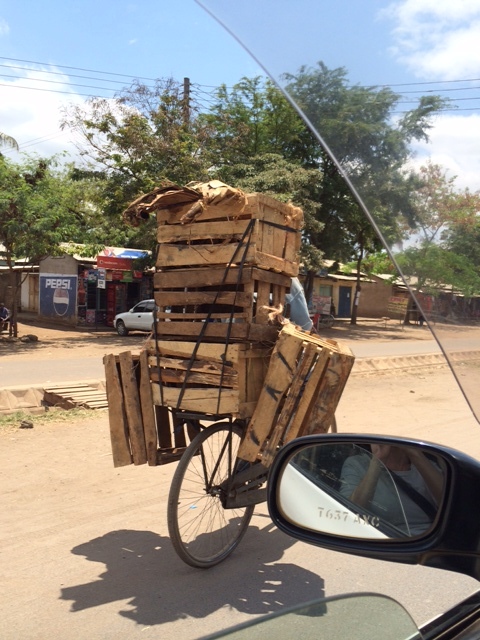 Such is life here in Tanzania. Tomorrow we will most likely be up at Kambi ya Simba again.